Have you had a student like Anthony? Anthony’s finishing 1st grade and he seems to be making strides in his reading. He generally aims to make meaning and his knowledge of high frequency words is growing steadily. He likes books, especially Star Wars books, and he can write a logical short paragraph…..However, you wonder whether the phonics activities you’ve been using are really sinking in with him. Haven’t we covered the “oa” spelling enough? But within that week he reads “soap” correctly, and then gets stuck on “pain” because of the “ai” spelling. Uhhh…we spent a week on that “ai” spelling! Unfortunately, Anthony’s inability to quickly master the trickier parts of our written code isn’t unusual. Nearly 100% of the struggling readers I have worked with in the last 20 years have had this exact same problem. Our written code, as I’m sure you know, is particularly tough to learn–over 250 different spellings to memorize and use correctly! But I know it’s frustrating to have students read, write, spell, and manipulate letter-sounds for multiple days, and then you realize, just days later, that a good chunk of those students still don’t know those very same letter-sounds!! The playdough, the dot-it markers, the worksheets, the apps, the kinesthetic actions, all for naught? Perhaps all of your students were able to learn the main sounds of the 26 letters of the alphabet, but all the variation in vowels beyond that original 26–what we call Advanced Phonics–eludes many students. 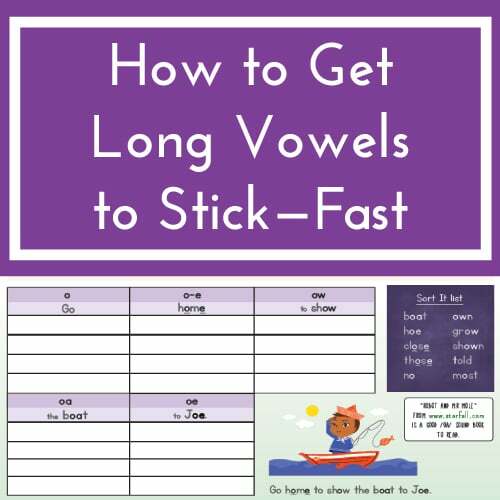 Or, at the very least, those oodles of long vowel combinations and diphthongs and vowel digraphs take months and often years to learn. Today I want to propose one streamlined activity that has the potential to dramatically boost your students’ phonics learning. And, thus, their decoding and fluency in its wake. It may even accomplish so much that other phonics activities might be set aside. 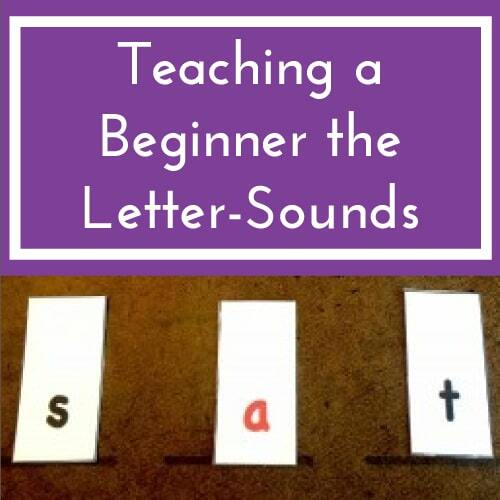 First, consider what a typical basal or reading program recommends for the teaching of Advanced Phonics sounds (such as long vowels, diphthongs, or other vowel digraphs like “oa,” “ie,” “oo,” or “igh”). Often, one or two spellings are taught per day; sometimes these spellings relate to a particular sound that is targeted for several days in a row. Sometimes, however, the spellings are relatively random. A child might be expected to learn “igh” on Monday. Not much organization here for the child’s brain to hang new information on! Those who might struggle with learning to read or those with weak oral or visual memories will find this haphazard, random order especially challenging. The odds that they will remember what they were “taught” last Monday on the following Friday are really low. Have you taught kids like that before? Yes, you have? I certainly have. I mean, come on, honestly, I’m supposed to teach 255 individual items to each 25 children in my class!?! Worse still, how in the world should I be expected to differentiate for my students’ needs with 255 items and 25 children? Let’s see, Maria has learned items 1-14, 15, 18, and 22. Too much to even think about. So, when the administration is pressuring you to differentiate phonics instruction and you feel as if your head is going to explode, you’re completely rational. 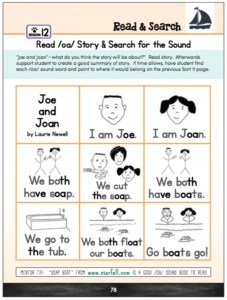 But wait: enter stage left….a different lens on phonics instruction as well as an elegant activity to teach multiple spellings simultaneously. First, don’t think of advanced phonics instruction as isolated, individual spellings. Rather, think in terms of sounds. There are only about 40-ish sounds in the English language. Doesn’t 40 seem a lot more doable than 250? Thus, grouping by sounds helps the teacher wrap her head around the otherwise-all-too-daunting phonics scope and sequence. Similarly, and more importantly, grouping by sounds helps the student more rapidly memorize the variations in spellings of each sound. 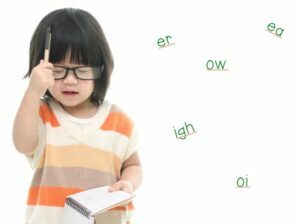 For instance, in one lesson introduce the long vowel “o” and its major spellings (i.e., “o,” “o_e,” “ow,” “oa,” “oe”). Your students, even the Kindergarten ones, can comprehend this and….it speeds up the learning process! A young learner’s brain can much more easily remember these random bits of information, such as “ow” can be the sound /oa/, if they are linked together as one group. Think about how we share phone numbers: in groups of 3’s or 4’s: ex: 999-555-5455. Grouping or chunking information is one of the best way for the brain to absorb new information. English vowel sounds can be represented with a number of different spellings. After coming out most Kindergarten reading programs that teach mostly just the consonants and short vowels, many children are unprepared for this rude awakening about the complexity of our spelling system. With simple CVC and CCVC or CVCC words, the spelling patterns are usually predictable and usually demonstrating 1-to-1 relationships. For example, in a K program, “s” is almost always /s/ and there’s only one way to represent that sound. Nothing wrong with that! Nonetheless, this concept that one sound, such as /oa/, can have multiple spellings seems out of the blue to many rising 1st graders. 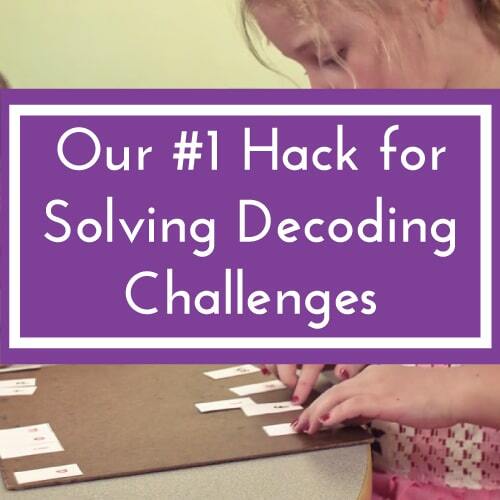 But an activity like Sort It quickly reorients young learners to the true nature of our written code. Rather than teaching spellings in isolation, and slowly dripping them out, perhaps even in a random organization, try introducing one sound and its various spellings all at once with an activity we call Sort It. The teacher presents a list of high-frequency words of a target sound, such as /oa/, and s he tells her students that all of the words they will try to read have the sound /oa—–/. She also has them create several columns on a blank paper or she offers them a Sort It worksheet. Then the students write that word in the relevant column. For instance, the word, “road” goes under the “oa” spelling. As students write the word, they also say each sound separately (i.e., /r/ /oa/ /d/). Sort It–/oa/ sound with a 2nd grader from Marnie Ginsberg on Vimeo. You may have noticed the importance of the Key Sentence in the above examples–”Go home to show the boat to Joe.” The Key Sentences are mnemonics–or memory devices–that serve as mental hooks around which to wrap all the spellings of a given sound. This frequent, but brief, quizzing challenges the students’ memory to retrieve the spellings they are working on. 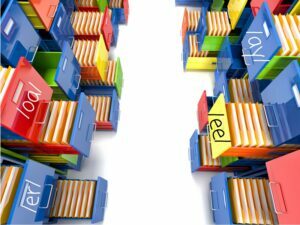 Frequent, staggered retrieval challenges are the fastest way to store information in long-term memory. The Key Sentence also provides a way to chunk the information down to even smaller bits–just the trigger of a boat may be what unlocks the sentence….and then the key spellings. In addition, the organization of the 2-rowed columns serves as another scaffold, or mental framework for children to hook their learning to. 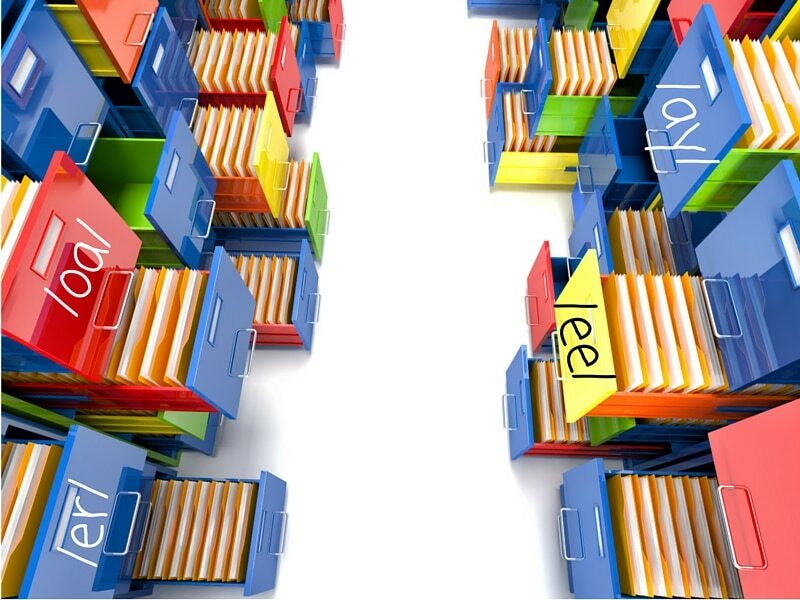 In the context of Sort It, a student may file away, say, the /oa/ sound as folder with multiple folders within it. Similarly, when she comes across the /ee/ sound and its most frequents spellings, she will file away the /ee/ sound in one cognitive file with these spellings: e ea ie ee y e_e within it. 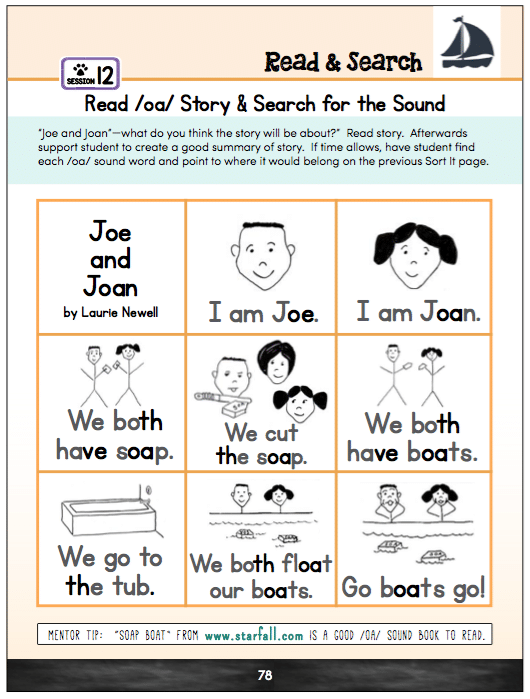 The order and logic of connecting the sounds that the child already knows with all the main spellings of that sound at the same time in a graphic organizer spurs her learning. Teachers do this type of organizing and sorting of information all the time for their students. For instance, in math, children are often guided to learn how to add or multiply all the 2’s for one period of time. Most math teachers don’t teach 2+3 on Monday and 4+5 on Tuesday. 😉 And, they often show images or charts that demonstrates 2 plus anything in a visual way. Or, in science, students learn about the solar system all at once. Teachers reveal all the 8 (or is it 9 again?) 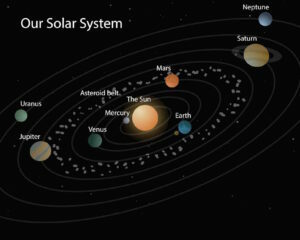 planets that revolve around our sun…all at once. They show diagrams of how all the planets relate to one another and to the sun. So, I don’t know why we so often ignore (or at best only gradually reveal) the natural order of our written code–that it springboards from sounds, and that these sounds connect to several specific spellings. 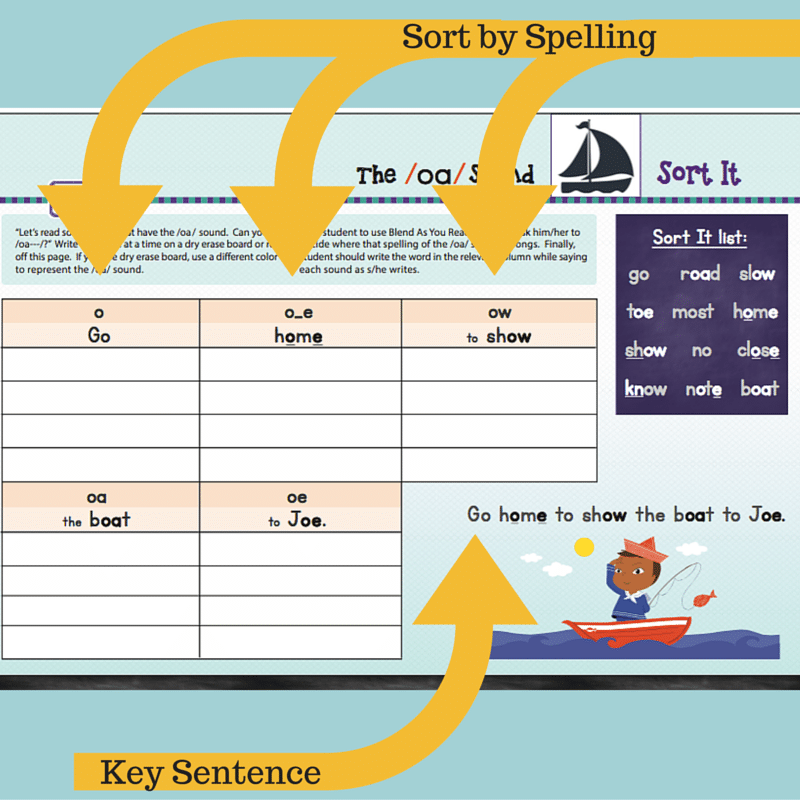 Through these 2 techniques of a graphic organizer and the Key Sentence mnemonics, the new or struggling learner is given a mental filing and retrieval system that tends to facilitate faster learning of phonics knowledge. If you were to attempt Sort It with your students, what else might you be doing that week to practice and extend the learning of the target sound? Reading texts that incorporate all the spellings of the target sound, such as the page on the right. Other activities to reinforce the spelling, reading, and writing of the target sound. One easy “other activity” is Search for It: read a text with the target sound, as in the above. Then, after the whole text has been read and discussed for comprehension, have the students search for each spelling of the target sound and circle those spellings. If time allows, they may also add those words to a Sort It page for extra multi-sensory practice. I know that the creativity of teachers allows for almost limitless possibilities for the “other activities.” Just keep trying to tie any creative idea you have back to the graphic organizer of the Sort It page and encourage children to rely on the Key Sentence. Also, the more often the students actually Write and Say the sounds as they write them, the faster they will learn. There are times for just reading or for just sorting, but they accomplish slightly less than when more senses are folded in. After a week with the /oa/ sound, I often move onto the /ee/ sound, but I set aside some time for review the work of the previous week. Also, if students haven’t mastered all 5 or 7 spellings of a given sound by the end of the week, but they have most of them learned, that’s fine. Keep plugging ahead and reviewing. Whew! I hope you can see how much Sort It can accomplish. 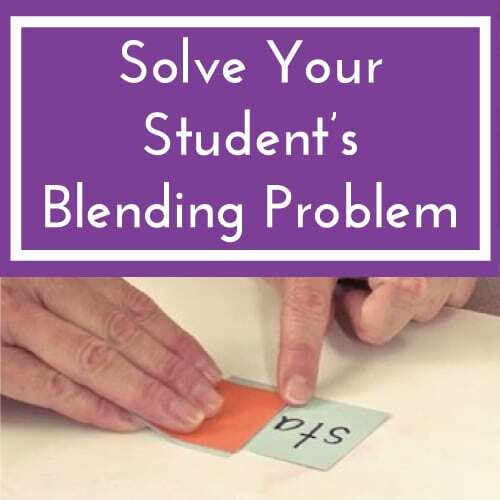 And, if it becomes the linchpin of your decoding element, then many more standards can be met simply by guiding a student to read a text of a targeted sound and by implementing other enrichment activities that link back to the core Sort It organizer. 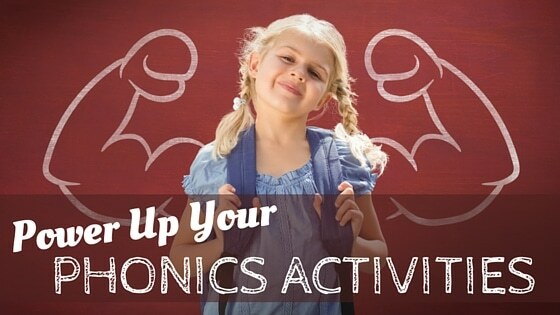 This may be all you need to get moving with an activity to power up your phonics instruction. All of the Advanced Phonics combinations do NOT have to be taught explicitly. Whaaaaat? I know some of you are thinking this…. The Sort It activity as I described above is explicit–although the student discovers a lot of the knowledge for herself in the context of a teacher-created situation. I also recommend a systematic approach. While research indicates the significance of systematic instruction of phonics information, there’s no particular sequence that has clear research preference. So, I adopted the following order of teaching Advanced Phonics that is ordered, in general, by frequency of spelling pattern. Each week a new sound is presented while previous weeks’ instruction is reviewed. HOWEVER, the research on “systematic” and “explicit” does NOT prove that every letter-sound must be taught in the classroom. Rather, the best prevailing theory of word identification learning developed by David Share suggests that children need only sufficient phonemic awareness and sufficient phonics knowledge to be able to discover the rest of the code by themselves, in the context of real reading. Thus, we systematically and explicitly guide students to learn most of the code, especially the most frequent spellings. We also guide students to develop the cognitive flexibility, or phonemic awareness, to make intelligent guesses for unknown spellings in words. 4) she confirms that “cloud” makes sense in the sentence. Share terms this theory of how children learn to decode the “self-teaching hypothesis” of word learning. Research and theory suggest that students do not need every bit of phonics information explicitly taught to them. Rather, they just need enough knowledge of the code and skill in attacking it to be independently learning new spellings occasionally when they encounter them. Given sufficient knowledge and skills, the young reader “self-teaches” herself the one aspect of a word that she has previously not learned. I remember this experience clearly for myself as a young student. I came across the word, “pterodactyl.” I was at first completely surprised to see a “pt” at the beginning of the word because it is such a rare spelling. I was pretty sure no one had taught me that spelling. /ter o dak til/ before, because I hesitatingly guessed that the word must be /ter o dak til/ and the “pt” must indicate the /t/ sound. I used my phonemic awareness, phonics knowledge, and multi-syllable decoding skills to determine that the one piece of information I was completely unaware of was likely the sound /t/. No one ever explicitly taught me that “pt” could be /t/ at the beginning of some words of Greek origin. 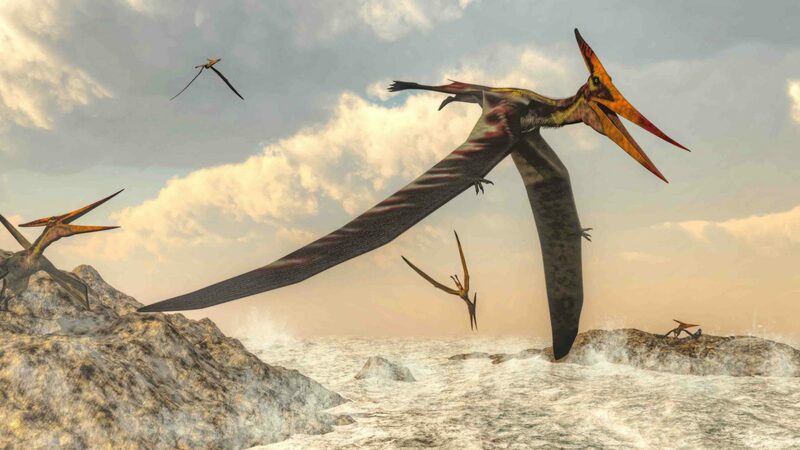 But by the time I had seen and heard “pteradactyl” a couple of times, I was pretty sure that “pteranodon” was /ter an a don/ when I next ran across it….on my own. That’s an example of the self-teaching hypothesis of word learning in action. Why the deep dive into word learning theories? Because we want to remove the burden that many teachers feel if they are using an explicit phonics program. Some of them seem to be drowning the baby in the bathwater. That’s in keeping with our mission at Reading Simplified. We streamline the process of teaching so you can catch a break all the while your students can accelerate their reading achievement. Although there are over 250 spellings, I don’t actually ever teach anyone all of them. Yet my students regularly read well over grade level and I witness them figuring out sound-symbol connections of information they haven’t been taught. (And most of students for the last 15 years have been identified as struggling, learning disabled, or dyslexic, so please don’t think I’m just talking about reaching the top 50-75% of our children. I’m talking about reaching everyone with this general theory of word learning.) I try to guide them to discover a sufficient amount of the code (see list of the order of Advanced Phonics sounds we teach above). Then I ensure they read aloud…a lot…with adult support and/or by following along to narrated texts, so that they put their developing skills into play for themselves. In the context of real reading, students can figure most of the remaining elements of the code out for themselves. And we all can spend more time reading real books together, rather than working on worksheets or isolated word work. Even as adult readers that’s how we are still operating. If we come to an unknown word, we try various sounds for the part of the word we don’t recognize. Is it /es kuh tol u gee/? Or is it /es chuh tol u gee/? We try both sounds and see which one sounds closest to a word we might have heard. We DON’T think about a phonics rule to determine that it’s the /k/ and not /ch/ sound. We want our students to have these same decoding skills, sufficient phonics knowledge, and flexible approach to attacking unknown words. Sort It is one of the main tools we use to ensure our students rapidly acquire sufficient phonics knowledge while always also reading for meaningful words. 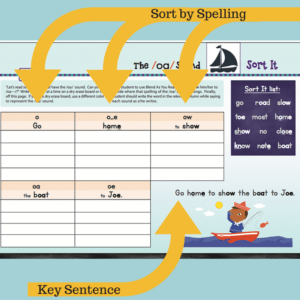 If you organize your phonics instruction around the organizational tool of Sort It, you can not only boost your students’ learning speed, you may also find it so much simpler to differentiate with. Organized around sounds, there are only a handful of major topics you need to cover: /oa/, /ee/, /ay/ /i_e/, /oo/, /er/, /ow/, /oi/, /aw/. If one group of student knows most of the spellings of 4 of these sounds, then you can advance with them to the 5th sound. With that subset of children for guided reading time, for example, they can sort /oo/ sound words, read /oo/ sound texts, search for /oo/ sound spellings, write /oo/ sound sentences, dictate /oo/ sound words, etc. Another group may just be starting to learn Advanced Phonics this way. With them, you will do very similar activities; however, you will focus on the /oa/ sound as the target. Yet I know that some of you are directed to teach your whole class simultaneously for phonics or word identification instruction. That’s unfortunate and not based on the best of current research (but that’s for another post). In sum, we hope you are intrigued by the potential efficiencies you and your students might gain through an activity such as Sort It. (perhaps) less time working on school stuff! Yeah!! Finally, please let me know if you’ve used something like Sort It before and/or what you find when you try it now. Does it make a difference for your classroom? Where might I find more Sort It activity sets & pages like the sample? I noticed they are numbered with a session number. Do you provide access to a complete set or a template to make more? Thank you! Thanks Amy for the excellent question! We will have a Reading Simplified Academy available within 6 weeks, and within the Academy, we will have hundreds of downloadable pages for students. The Academy will also include several hours of online video training, a discussion forum where I’ll respond daily, a monthly webinar, and 1-2 online, individualized coaching sessions with me. Sorry it’s not quite ready yet, but please get on our email list, if you aren’t already, so you will be the first to know when the Reading Simplified Academy is live! Sounds great! I look forward to the unveiling of the RS Academy and its resources in six weeks. I will join the email list for now. Thank you for your reply! Are there more Sort It activities? Lisa, yes, there are more Sort It activity pages in our soon to be released Reading Simplified Academy–an online membership community where teachers discover our streamlined system for reading instruction that saves teachers time and stress and also helps children accelerate their reading achievement. 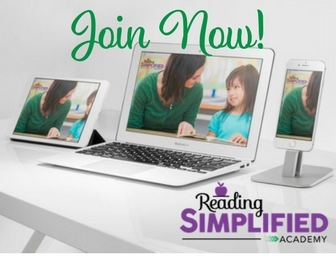 The Reading Simplified Academy membership includes the course on how to use the activities and the Reading Simplified system to save time and boost achievement; hundreds of differentiated student materials, such as Sort It pages and related reading material for the sounds: /oa/, /ee/, /ay/, /i_e/, /er/, /oo/, /ow/, /oy/, and /aw/; and an online discussion board where teachers learning this approach connect and I provide support every weekday to get everyone’s immediate questions addressed. For more info: see this page. Thanks for interest in these materials! Hope they help your students. Thank you for sharing this info. It is interesting and very helpful to anyone who would like to help children to read and perform to the best of their ability. I would also be interested in more activities and I hope it will be affordable even for teachers outside of the US, as our currency is so much weaker than the US dollar. Keep up the good work. Thank you for all the resources you have shared! I am seeking SORT IT for a range of grade levels without undertaking further professional development at this time. I have been teaching THRASS for a number of years and would really appreciate seeing what you have on offer. Is this possible? My husband doesn’t want me to spend so much money on the whole package advertised after the WEBINAR… Could I maybe just get the basics that could help me like the sort it and swop it? I suggest that after you learn about 1 activity like Switch It, that you or try it out with your readers. Then go and learn about the 2nd activity Read It. Again, try it out with your readers. 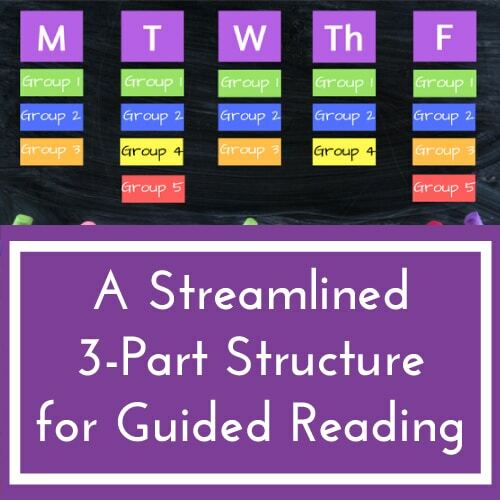 Then after you’ve learned about and tried the 3rd activity Sort It, then begin reading more about how to move students along and how to structure reading practice. The web pages above have a lot of information in them. But just take them 1 activity at a time, bit by bit, and you will likely find learning the approach is doable. And you should expect to see growth in their reading!